The CoM receives applications all year round. However, the deadline for receiving applications is 15th December 2017 for the MMed admissions scheduled for 1st April 2018. Shortlisted candidates will be invited for interviews to be conducted between 15 and 19 January 2018. This is a 2-year block-release program. Applicants may choose to major in Health Management, Bioethics, Epidemiology, Reproductive Health, Nutrition or Health Informatics. Students may graduate with a Postgraduate Diploma in Public Health if they complete all coursework BUT do not submit a dissertation. The College receives applications all year round. However, for the September 2018 intake we will only consider applications received before the end of 28th February 2018. This is a 2-year master of science degree program, which consists of core modules in basic and advanced epidemiology and biostatistics, disease control, research ethics, data management and integrity. Students are allowed to choose elective modules from a wide variety of disease and health programs specific modules (e.g. TB, malaria, HIV, nutrition, bioethics). Lastly students are required to complete a research dissertation. Students may alternatively graduate with a Postgraduate Diploma in Epidemiology if they complete all coursework but do not submit a dissertation. This program is ran in Lilongwe and Blantyre college campuses. The College receives applications all year round. However, for the September intakes we will only consider applications received before the end of 28th February 2018. The deadline for receiving MSc applications is April 2018 for admissions scheduled for 1st September 2018. Shortlisted candidates will be invited for interviews to be conducted May 2018. The deadline for receiving MSc applications is 15 December for admissions scheduled for 1st April 2018. Shortlisted candidates may be invited for interviews to be conducted in January 2018. Applicants are strongly advised to have preliminary discussions with the relevant Heads of academic departments at CoM or Project Directors to enable matching of prospective student to supervisors or research groups and to develop research concepts before submitting an application. Applicants without approved research concepts and/or supervisors will not be shortlisted. Those applying for PhDs within the Department of Public Health should contact Dr Gertrude Chapotera (hodpublichealth@medcol.mw) and are encouraged to visit the school website for potential supervisors on http://sphfm.medcol.mw/sphfm/. Scholarship opportunities: Highly competitive MPhil/PhD fellowships are available to applicants who would like to conduct HIV Implementation research. Interested applicants should get details, terms and conditions of the fellowships from Prof Victor Mwapasa (vmwapasa@medcol.mw) or Prof Mina Hosseinipour (mina_hosseinipour@med.unc.edu). 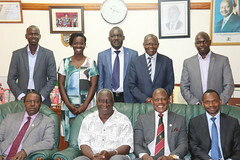 With funding from the Wellcome Trust through the Development of Excellence in Leadership Training and Science (DELTAS) programme, the African Mental Health Research Initiative (AMARI) supports research, academic and leadership excellence in the area of mental, neurological and substance use disorders (MNS). AMARI is able to provide support for one Malawian PhD fellowship that will cover a monthly stipend, tuition fees, research-related expenses, travel expenses for the AMARI’s annual scientific meeting and training courses. Interested candidates are advised to have preliminary discussions with the Head of Department of Mental Health at COM (sholzer@medcol.mw) to enable matching of prospective students to supervisors and developing research concepts before submitting an application. Deadline for applications is the 8th of December 2017 for admission in July 2018. Shortlisted candidates will be invited for interviews to be conducted in January 2018.